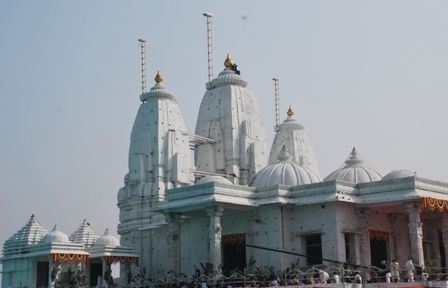 A non-sectarian temple as per Param Pujya Dadashri's bhavna was built in Godhra. The auspicious event of Pran Pratistha (sanctification ceremony) was held from 28th Dec to 2nd Jan. the sanctification of all Lords was done by Pujyashree Deepakbhai. On 30th Dec and 31st Dec the Pran Pratistha of all dev and devis were done. On 1st Jan Pran Pratistha of the three main gods, Lord Simandhar Swami, Lord Krishna and Lord Shiva.Â During the sanctification of all the gods everyone felt the live Pratyaksh presence of Param Pujya Dadashri, Pujya Niruma and Shashan Dev-Devi. After the Pratistha of all the gods were done there was a divine and blissful atmosphere. There were 20-25 thousand attendees. People who came first time to the temple were amazed to see the Lord Simandhar Swami. 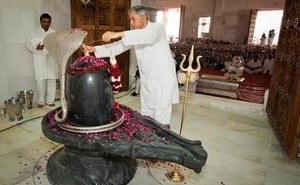 They all said that they had never seen such a temple before in their life, and also such beautiful Lords. There was a long queue for darshan. There were many documentary movies as well as multimedia films on Param Pujya Dadashri, Pujya Niruma, and Akram Vignan. Puppet shows, children park, magical eraser, etc shows were also held specially only for children to explain them Param Pujya Dadashri's science in their language. 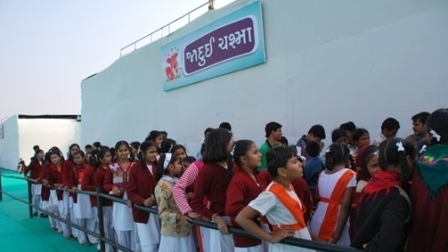 There were around 6-7 thousand school children who came to see the shows, and do darshan. Most of them came second time with their parents. Around 10,000 people attended satsang where various types of questions were asked and Pujya Deepakbhai gave satisfying and scientific answers. The evenings were entertained by hosting Bhakti and Garba, for mahatmas where Pujya Deepakbhai also joined the sessions. Well-known singer of Gujarat Shree Hemant Chauhan was invited to host a Diaro (traditional gujarati stlye of singing). Gnan Vidhi (Self Realization Ceremony) was held on 31st Dec, where in 4700 people took gnan. On 2nd Jan, Pujya Deepakbhai did the Dwar Opening Ceremony, which was followed by pooja and arti, of all Lords.